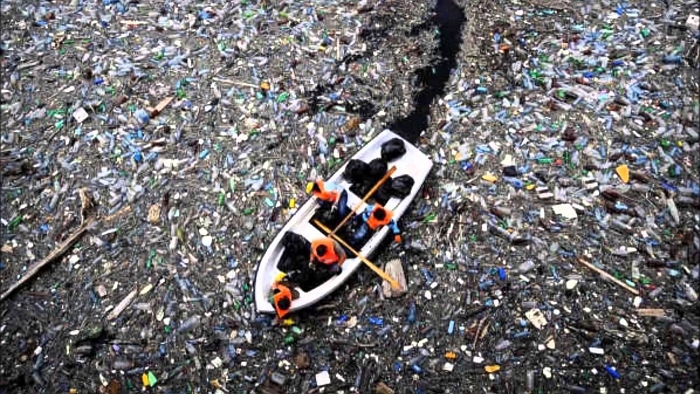 Our Planet is Drowning in Plastic Pollution. It’s Time for a Change! | Ye! Around the world, one million plastic drinking bottles are purchased every minute, while up to 5 trillion single-use plastic bags are used worldwide every year. Researchers estimate that more than 8.3 billion tonnes of plastic have been produced since the early 1950s and only a fifth of this amount has been recycled, while the rest is polluting our environment with severe consequences. It is clear that we need to slow the flow of plastic production, but we also need to improve the way we manage our plastic waste. Fortunately, in recent years, the world is waking up to the problem, and societies are starting to act. What can entrepreneurs do to stop the looming threat of plastic pollution? Innovate of course! Millennials are some of the most adept and creative minds currently in business. That's why this week the blog spotlights some of the incredible young entrepreneurs inside and outside the Ye! Community that are working to fight plastic pollution. Check it out. Who knows, maybe it will spark and idea in you! Edgar Edmund is a young Tanzanian entrepreneur and the founder of Green Venture. He started the company at just 15 years old when he decided to make plastic waste his battle horse. Now he runs an innovative start-up that transforms plastic material into building products, whilst also changing and inspiring the local community. Read more here. Kavuma Johnmary is a social entrepreneur and the founder of Up-cycle Africa Limited (UAL). His organization seeks to protect the environment and promote innovation while empowering youth. Through up-cycling plastic bottles, this company trains local communities in Uganda to protect the environment. Check out Kavuma's website here. Prince Agbata is an impact driven, high-tech, social entrepreneur who focuses on waste management in the recycling sector. He is the co-founder and country director for Coliba Ghana. Coliba is an early stage waste management business that leverages technology to help users separate their waste, schedule and request a pickup and finally, incentivize the user for recycling via the Mobile Money Platform. Coliba focuses on Plastic, Polythene, and metal waste materials. Learn more here. Wilson Amooro is a certified nurse and a young social entrepreneur. In 2015 he has founded TREE Africa. The purpose of this NGO is to encourage children to keep their environment clean and encourage reading and writing. Further research indicates that clean environments and high school test scores go hand in hand so the TREE Africa’s team innovated a program that encompassed education and recycling called Trash4Books Ghana. They began by giving school children reading books and schools supplies in exchange for their assistance picking up trash. Simple yet powerful. Have a look at Wilson's website here. Wale Adebiyi is an inspiring Nigerian social entrepreneur and the founder of WeCyclers. Her company offers a convenient household recycling service using a fleet of low-cost cargo bikes. Her team is powering social and environmental change by providing an avenue for people in low-income communities to capture value from their waste. Andrew Almack specializes in helping brands make a profitable transition towards to use of recycled plastic in product lines. He founded Plastics for Change a mobile technology company to reduce plastic pollution and create resilient livelihoods for the urban poor in developing countries. Miranda Wang is a social entrepreneur and the co-founder of Biocellection, a young biotechnology startup in California. The purpose of the company is converting plastic bags into useful products such as synthetic ski jackets. Daniela Fernandez is a Georgetown student. In 2014, she founded the Sustainable Ocean Alliance, a network for entrepreneurs that work to reduce plastic pollution in the ocean. In 2017, the United Nations recognized her Alliance as the world's largest network of young ocean leaders.